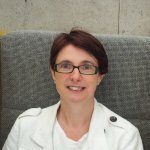 Lisa has a background in international development with over 20 years experience with the British Council of managing and bidding for international development projects with donors such as the Department for International Development, the EU, UNICEF and the World Bank. She has a successful track record in supporting international NGOs to move from grants to commercial contracting and working with UK charities supporting them in the areas of contract readiness, business development, business planning and impact evaluation. Local Sustainability Fund – developed successful applications with Mencap Liverpool and Relate GMS and currently working with them as Project Lead coordinating a range of inputs from different members of Eastside Primetimers in finance, organisational re-design, marketing and communications and impact assessment. Lloyds Bank Foundation – income diversification organisational diagnostic and mentoring support to Mind in Bradford. Previously provided similar support to Relate Greater Manchester South, Home-Start Wirral and Back on Track in Manchester. Impact Readiness Fund – developed two successful IRF projects: one with Manchester Active Voices which was completed in June 2015 and another with Home-Start Wirral in 2016. These projects involved the development of a Theory of Change for the organisation, the development of an outcomes monitoring framework and the identification of an appropriate impact assessment system. DoH Health and Social Care Volunteering Fund – organisational diagnostic for Hyde Community Action and Self-Help Services. Organisational diagnostic and support consultancy for: South Yorkshire Eating Disorders Association (Syeda); Sheffield Alcohol Support Service (SASS); Manchester Action on Street Health (MASH); Lancashire Women’s Centres; and Mencap Liverpool. 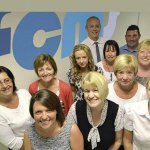 Investment Contract Readiness Fund – Project Lead role with FCMS in Blackpool.